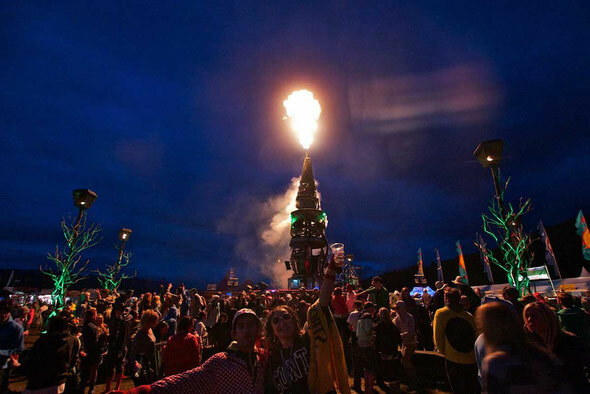 UK music festival RockNess has unveiled many of the acts set to grace its stages at the event in June, including Biffy Clyro, Deadmau5, Ed Sheeran, Justice, Metronomy and Noah and the Whale. 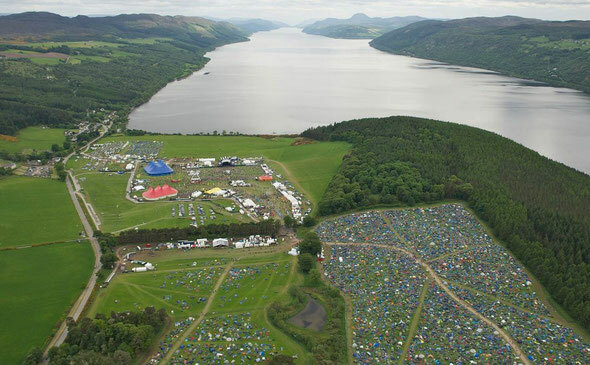 Situated in the Highlands of Scotland and named as the Best Small Festival at the NME Awards 2011, the festival takes place from June 10th-12 at its traditional home of Dores near Inverness, with tickets going on sale from today. RockNess festival director Jim King said: “It was only a matter of time before we got lucky and were able to welcome Biffy Clyro back to Loch Ness. Since their debut they've gone on to become one of the biggest rock bands in the UK and on home turf you know they're going to produce something extra spectacular. I’ll call it first then... Mon the Biffy! Mon the ‘Ness!" Jim continued: “The Mau5 needs no intro. He was close to appearing last year but the good news for us is that the live show has just got bigger and better and he follows in some hallowed steps at RockNess as a true electronic headliner, something you can't experience anywhere else in Scotland. His show is just so good and he’s already got plans to make this one of the best shows we’ve ever seen. “Justice is the act everyone has been asking us to book since we started the festival. 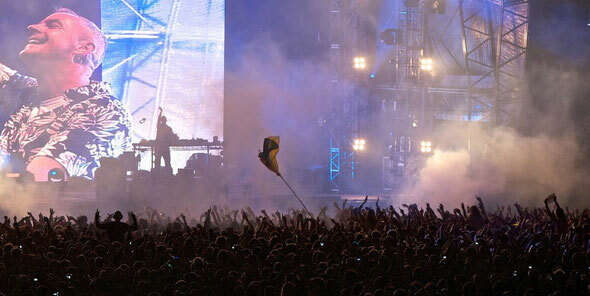 French house music holds a special place at RockNess and these guys are simply the best. Mumford and Sons. Wow. I am over the moon they agreed to play our show. They could have played anywhere but they chose The Highlands. It’s going to be special. There’s so much quality across the rest of the bill from Ed Sheeran who’s arguably the biggest rising star of the last twelve months with Wretch 32 on to absolute legend Nile Rodgers who brings his seminal band Chic to the main stage in what will be for me a highlight of the festival. The only question remains is can he out funk and out dance the Cuban Brothers. Also on the bill so far are Metronomy; Noah And The Whale; Wretch 32; Fresh/Live; Azealia Banks; Beardyman; Death In Vegas; Chic featuring Nile Rodgers; Etienne De Crecy; Totally Enormous Extinct Dinosaurs; Busy P; Gesaffelstein; Riton; The Cuban Brothers; Filth DJs; Polymath; and Count Clockwork. 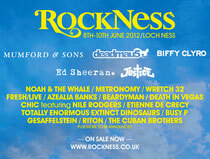 The RockNess Express is an exclusive VIP party train taking 600 people on a journey of a lifetime! The first time a train has ever been chartered for a festival in the UK, RockNess is being supported by funding from Creative Scotland to take people to the best festival that Scotland has to offer. The train will depart from London Euston, picking people up at Birmingham New Street, Derby, York, Newcastle, before arriving at Inverness where a shuttle will be waiting to take you straight to the festival site! VIP festival ticket + Return train and shuttle to and from the site = £225. The train will have bands, DJs and entertainment provided by Festival favourites Bearded Kitten, Scottish food, cocktails, goodie bags and more surprises along the way. If you come up on the RockNess Express you also get access to the site on Thursday night before anyone else is allowed in! The train will depart on the morning of Thursday 7th June and return on the morning of Monday 11th June. Timetable will be announced in due course. Times are subject to change.